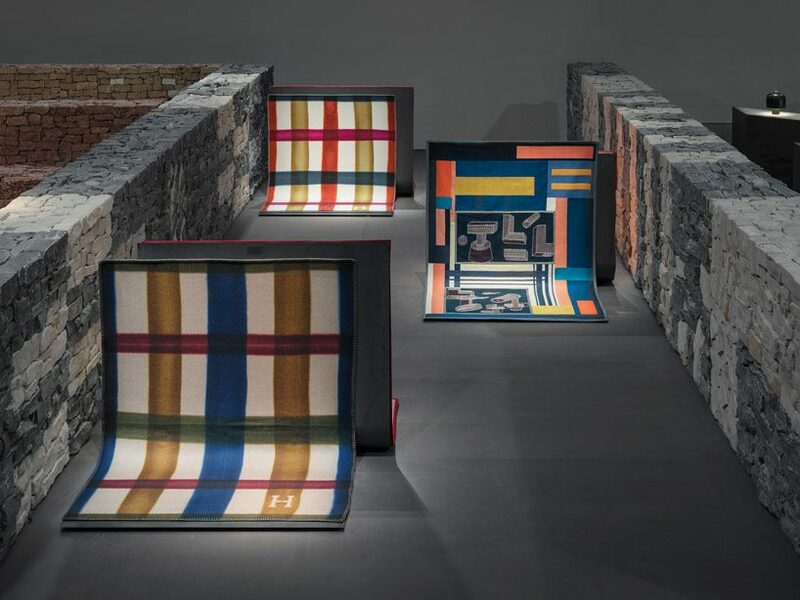 during this year’s milan design week, hermès has chosen to pay tribute to materials for the presentation of their new home collection. 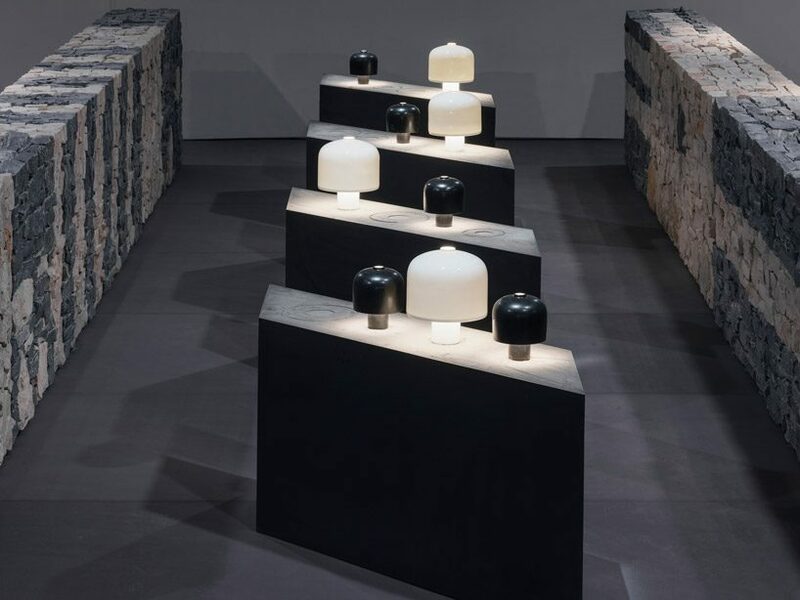 within the setting of la pelota, in a space designed by charlotte macaux perelman, the luxury french brand takes visitors on a journey through structured paths of stone walling to explore a vast array of their latest products. 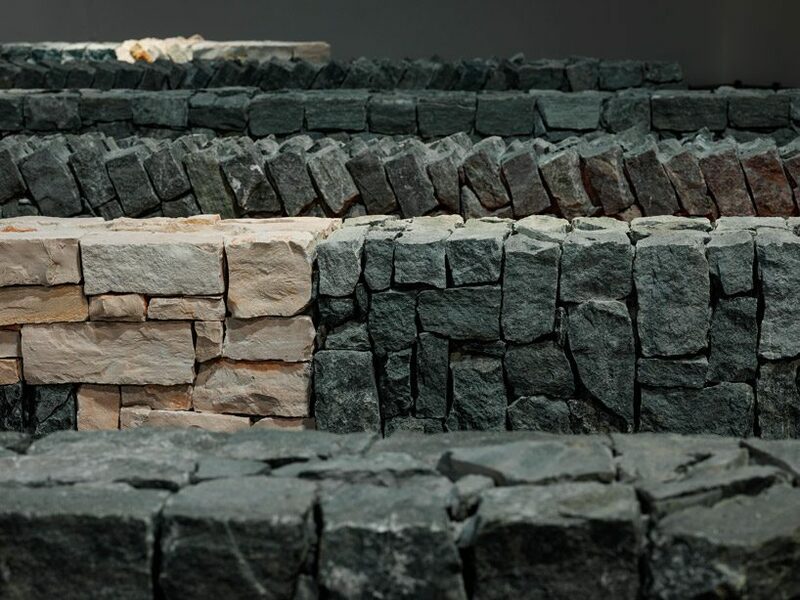 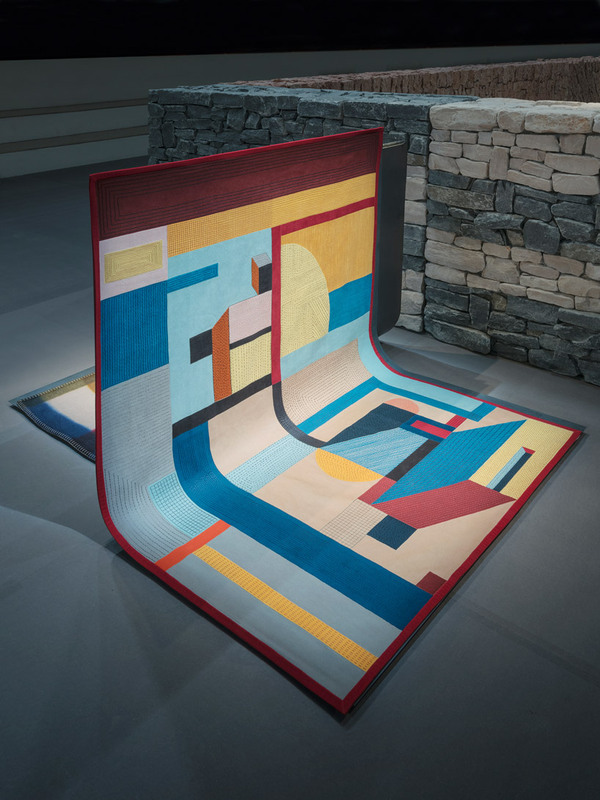 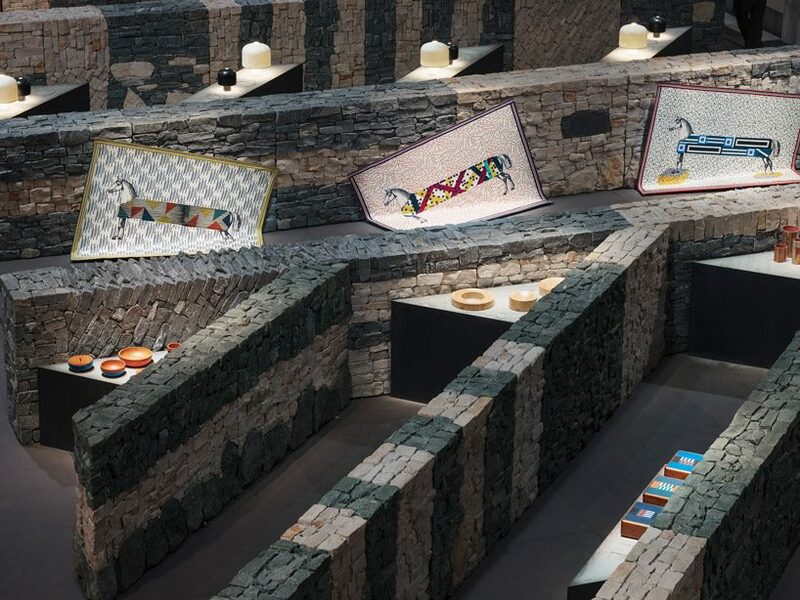 rather than creating a bright and polished exhibition space to display the hermès 2019-2020 home collection, lines of traditional stone walling have been formed to divide the space and provide direction. 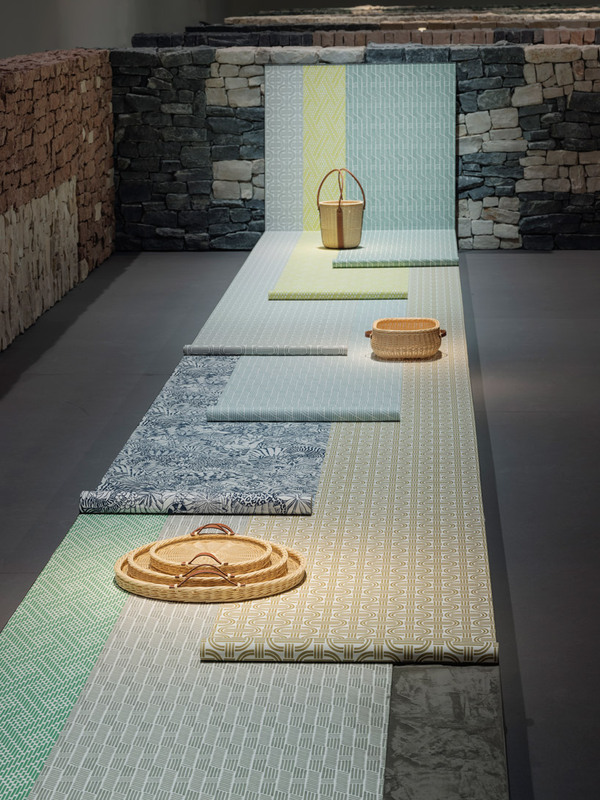 displaying the colorful objects against this earthy backdrop creates a strong contrast and prevents the pieces becoming overwhelmed by a loud setting. 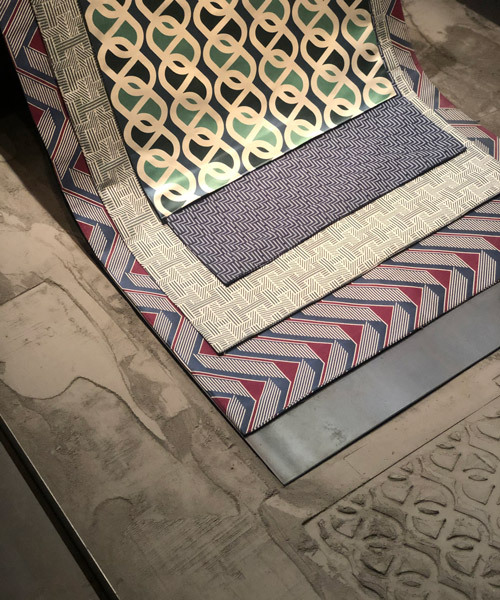 from hanging fabrics and wallpapers, to beautiful vases and bowls, hermès’ signature colors and motifs are allowed to speak for themselves. 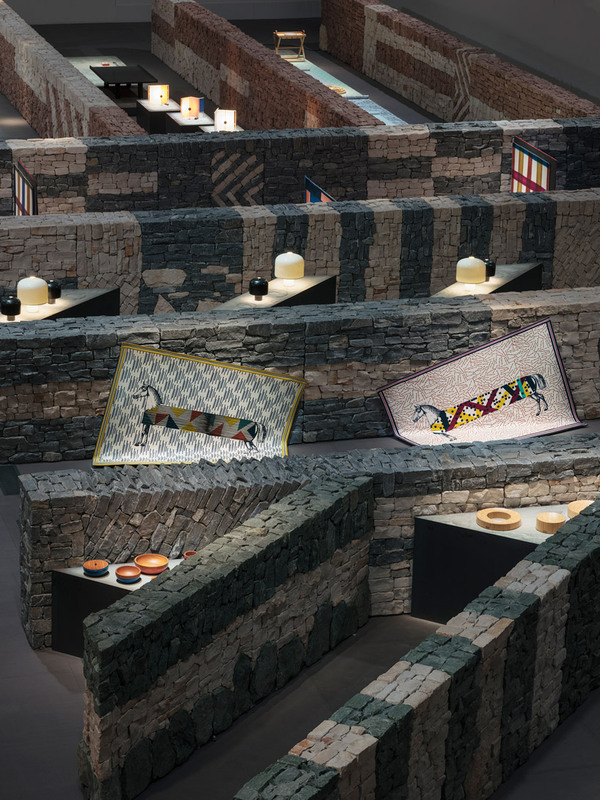 the concept behind the exhibition space is to honor materials and acknowledge the importance materiality plays in design. 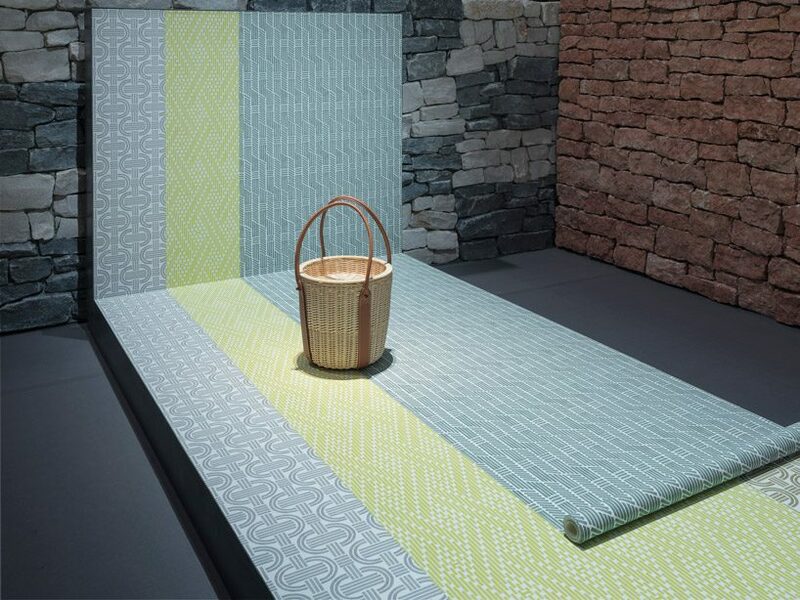 with different materials come different sensations and the right specification can play a vital role in the creative process. 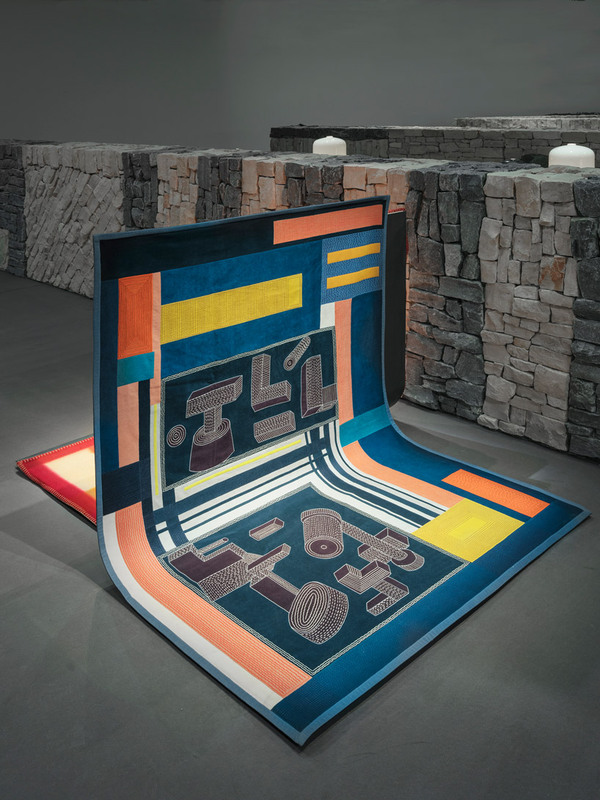 the space also encourages people to consider the origins of materials and creates the connection from a rough natural material to the refined hermès products on display. 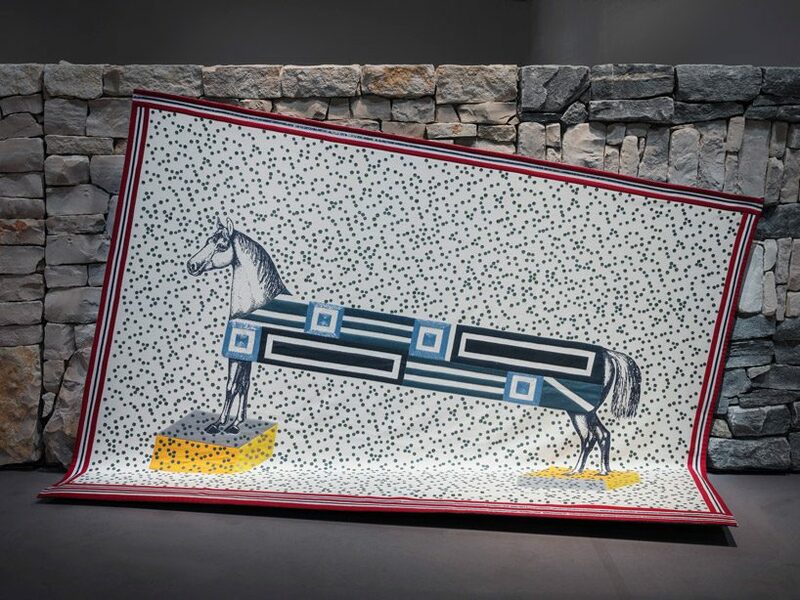 ‘paddock’ vases by studio hermès – a reinterpretation of enamel bracelets, using the geometric and colorful language of jockey’s silk. 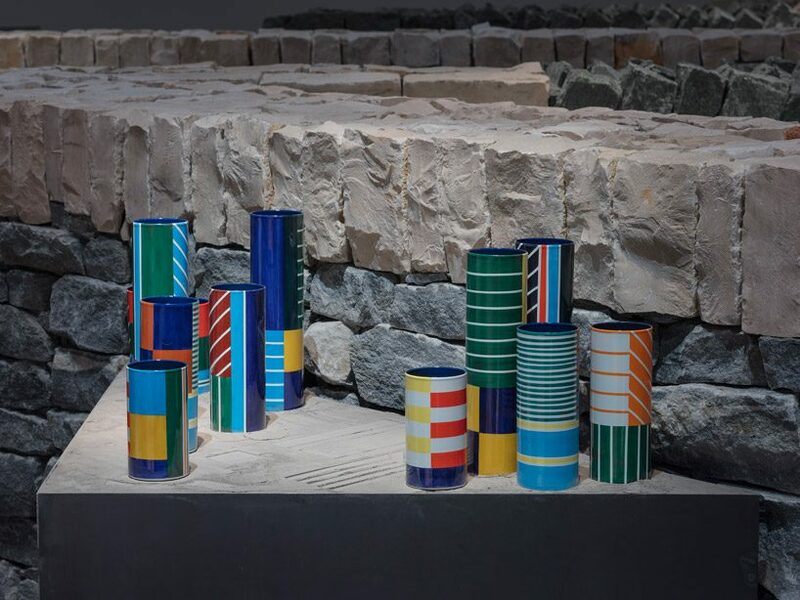 hand-painted herringbones, stripes and checks contrast with the taut lines of these cylinders in enamel steel. 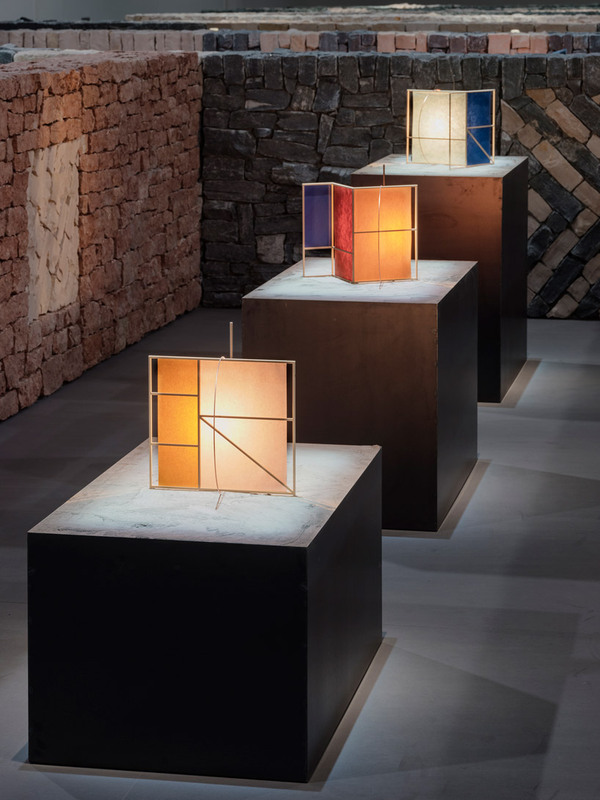 ‘coulisse’ table lamp designed by tomás alonso – a screen in colored paper reveals the geometric composition of a meticulously assembled aerial structure. 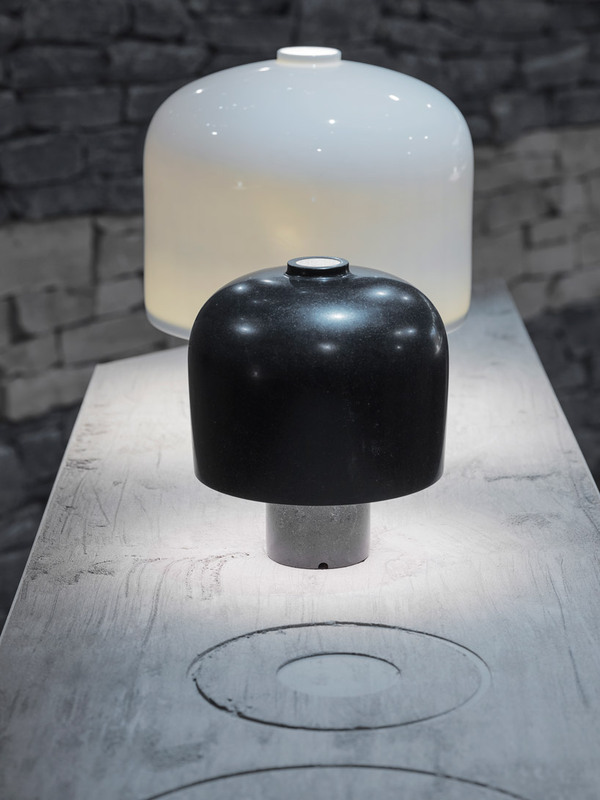 equally delicate, a circle in copper-colored metal supports the light source and creates interplay of shadow and light evocative of a theater stage.